Are you looking for a comfortable catamaran net, that will transform your trampoline into a relaxation zone? This 13mm braided netting will seduce your passengers who will devote long hours to relaxing. 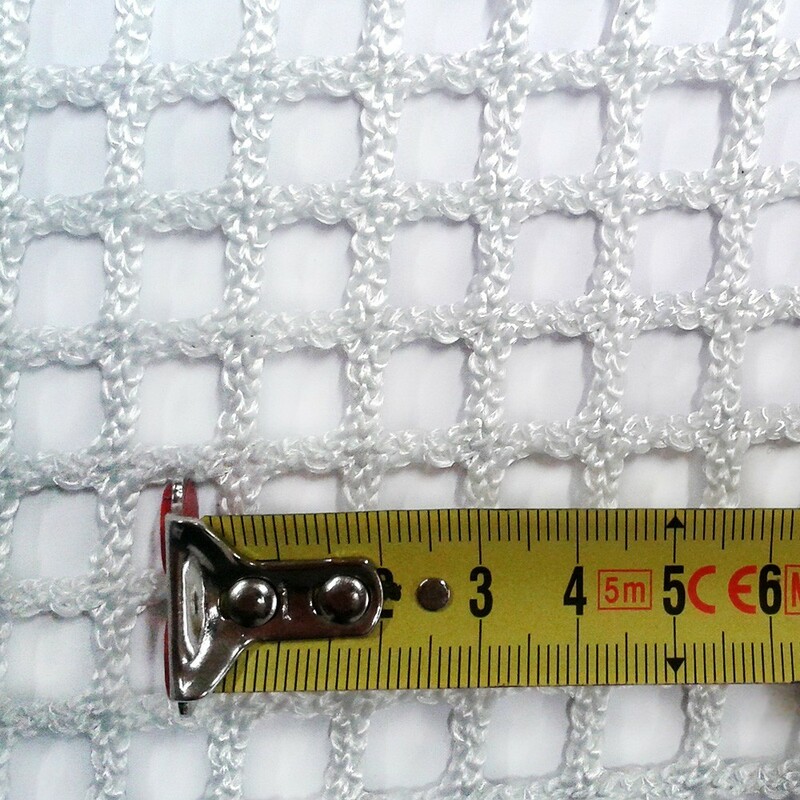 - 13mm braided netting. The braided netting will be more comfortable than a knotted netting which will be a valuable asset if you plan to lie on your trampoline or even go barefoot. The net's stitching is tight enough to better hold objects and stop them from falling. - Polyester treated against UV rays. This polyester netting will be resistant to wear and tear. Being made of polyester and having undergone an intense anti UV ray treatment, the mesh is guaranteed to remain a support over time, regardless of your navigation conditions. - Available in black and white, it can match your boat's colours. -Made to measure all you need to do is send us the plans of your trampoline and we will create your net within 2 to 3 weeks. Do not hesitate to contact us for advice on which material to choose or any other options!